Keep the poop out of the parkland and off of Hunter Mill Road. 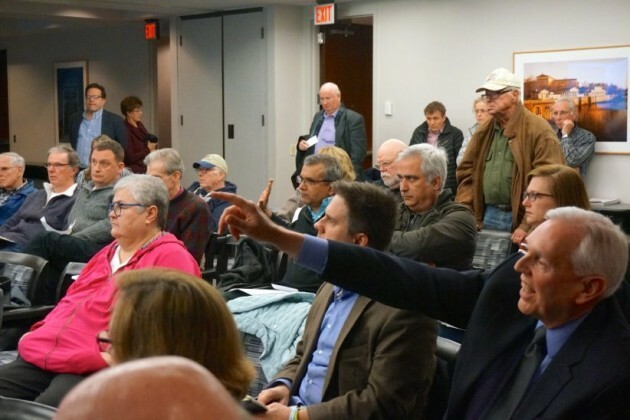 That was the sentiment — if not the exact phrasing — of dozens of citizens who attended a community meeting with Hunter Mill Supervisor Cathy Hudgins in Reston on Thursday. 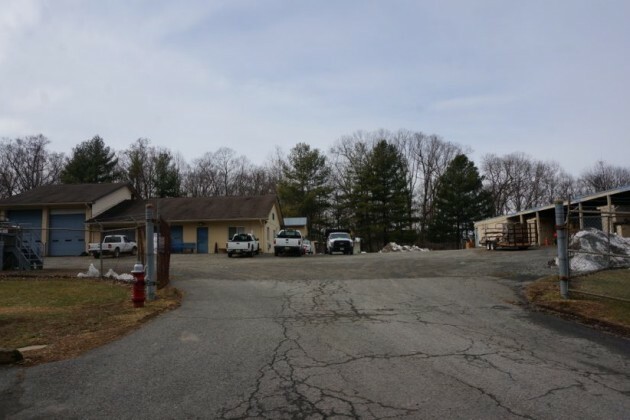 At issue is the county’s proposal to relocate a Septage Receiving Site from Colvin Run in Great Falls a few miles away to the Fairfax County Park Authority’s Maintenance Area 6, located off of Hunter Mill Road on the Reston-Vienna line. The Colvin Run site, one of two septage receiving sites in Fairfax County, collects waste from septic tanks at homes not hooked into public sewer lines. In this part of the county, most of those homes are in Great Falls and Oakton. Overall, 21,000 Fairfax County homes do not have public sewer service, says a feasibility report on the potential move. But that only accounts for about half the waste received, the rest is from portable restrooms at parks and public events and from grease traps at restaurants, said Eric Leinhard, a consultant with Hazen and Sawyer, an environmental engineering consulting firm hired by the county to prepare the feasibility study. Leinhard says there are many problems with the Colvin Run site, which has been in use since 1970. Among them: it’s outdated, it smells, it floods, the pipe is too small to handle the amount of waste, it is too close to the Cross County Trail and it is in a floodplain, which is a health hazard. But there have been no Environmental Protection Agency Complaints or other formal violations, Leinhard admits. 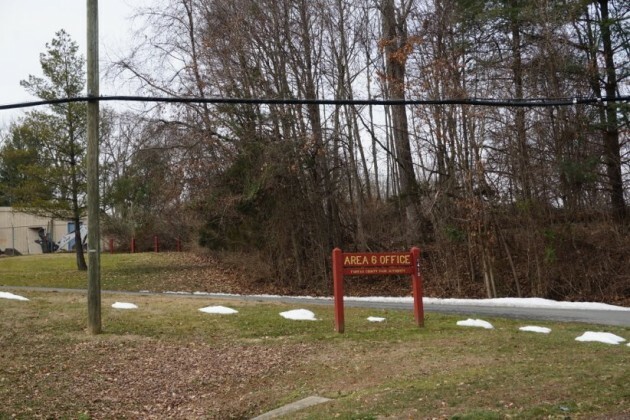 The idea to relocate the site came from a group of Colvin Run-area citizens, who petitioned Supervisor John Foust (Dranesville) for the change. The county says it researched six area sites, including renovating Colvin Run, for a new facility. The criteria: Proximity to a 30-inch sewer pipe; off a major road; outside of a floodplain; away from public use (but on county land); and an available footprint to build a secure, odor-controlled facility where trucks could drive in a loop rather than have to back up to leave. Among the sites considered: the I-66 Transfer Station; Scott’s Run and Dead Run, located closer to Great Falls; the Tysons Pump Station; and Lake Fairfax. Lake Fairfax, which is in a fenced maintenance area not accessible to the public, was the only one that met all the criteria, according to the study (see attachment below). The citizens in the crowd — many of whom were visibly angry — want county officials to go back to the drawing board. They also want reassurance — which they got from Hudgins — that this is not a done deal, even though the study said the next step would be the design phase of the new location. 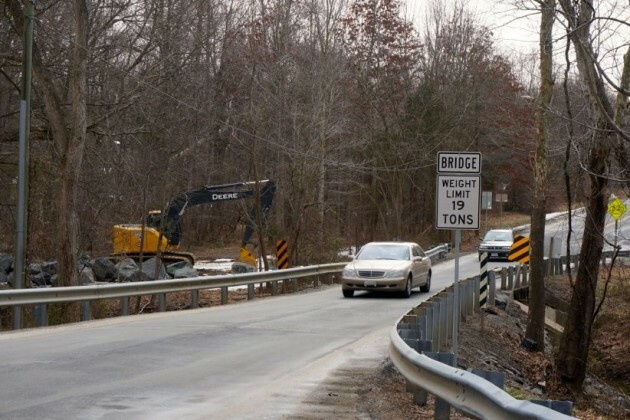 Many citizens had issues with the potential new facility’s location on Hunter Mill, which is one lane in each direction, which frequently has traffic backups and features the one-lane bridge, where motorists have to take turns crossing. The county contends says a survey of waste haulers said they are already using Hunter Mill as a route to get to Colvin Run. An average of 22 trucks visit the Colvin Run site daily, the feasibility study said. But the feasibility study used 2006 traffic numbers to look at the rest of the cars on Hunter Mill. 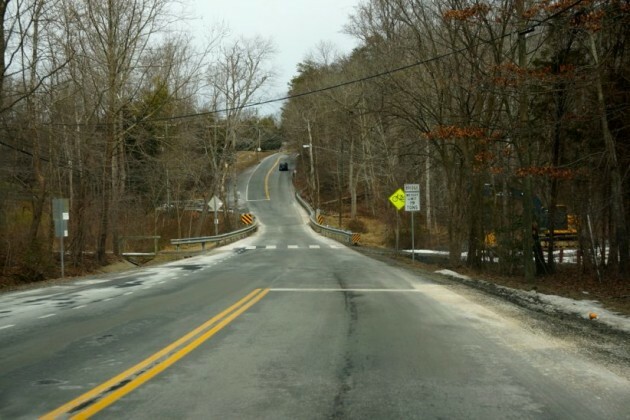 Leinard said the criteria for calling Hunter Mill a major road was a speed limit of over 25 mph. Those who drive on Hunter Mill everyday don’t agree. Another citizen pointed out that the bridge has a 19-ton weight restriction. A fully loaded sewage tank truck weighs about 56,000 lbs. (28 tons) she said. Other concerns from the crowd — the Lake Fairfax site is also close to recreational space and is just 200 feet uphill from a floodplain. Officials said they would look at other possibilities, including acquiring land that is not currently owned by the county. It is accepting public comments through March 18. Email [email protected] with feedback.